Poured from a 22 oz bottle into my stout glass. 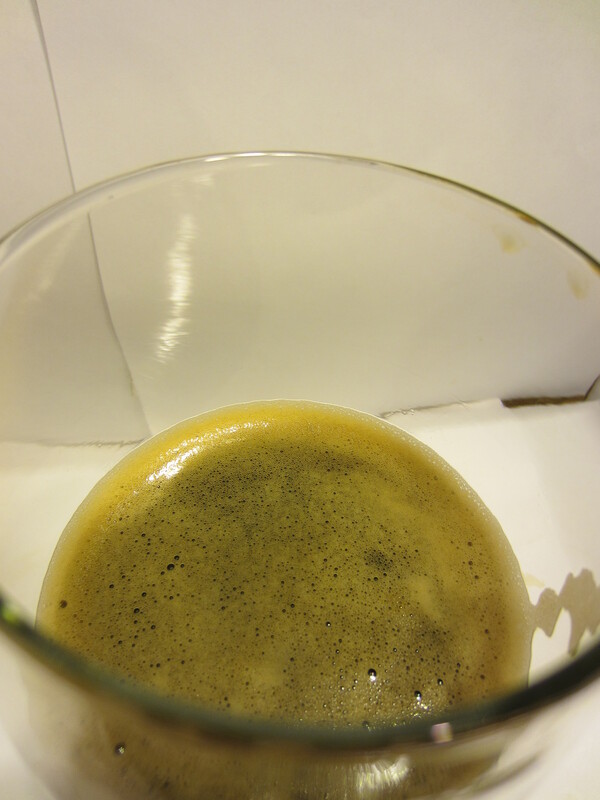 It definitely looks like a stout. The color is black, with a trace amount of ruby-red on the edges. 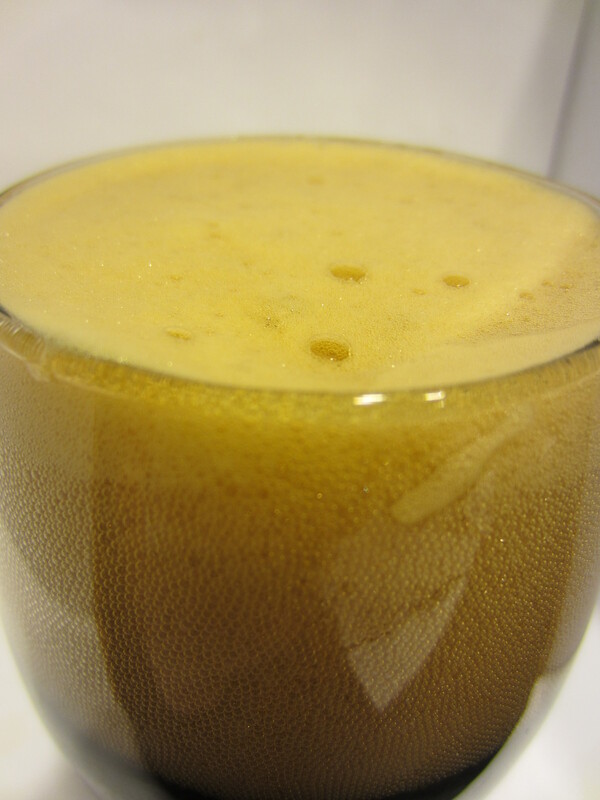 A big, brown head is poured, no carbonation is visible, and light lacing is left on the glass throughout. Bittersweet chocolate, roasted malts, and roasted coffee notes are offered. There is also something else lying underneath, maybe a hint of burnt caramel? 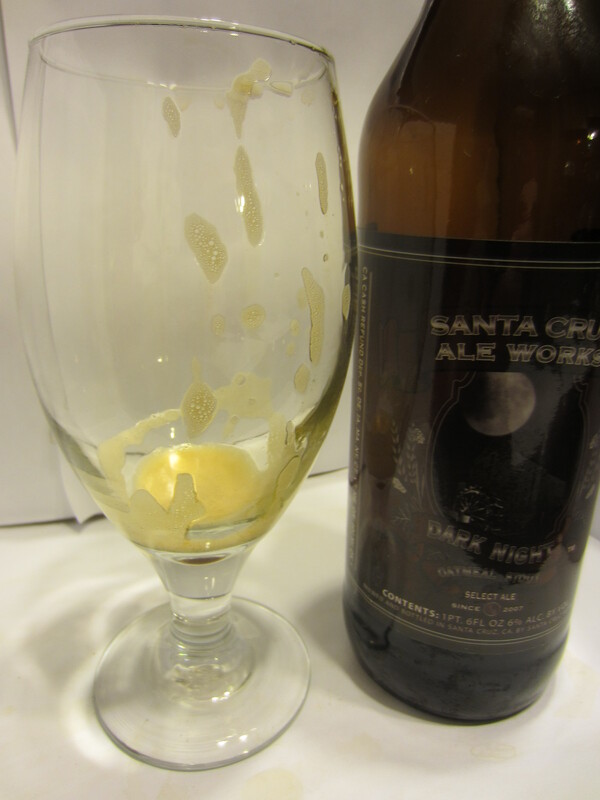 Medium-bodied, rich and velvety going down, finishing with light hop bitterness. 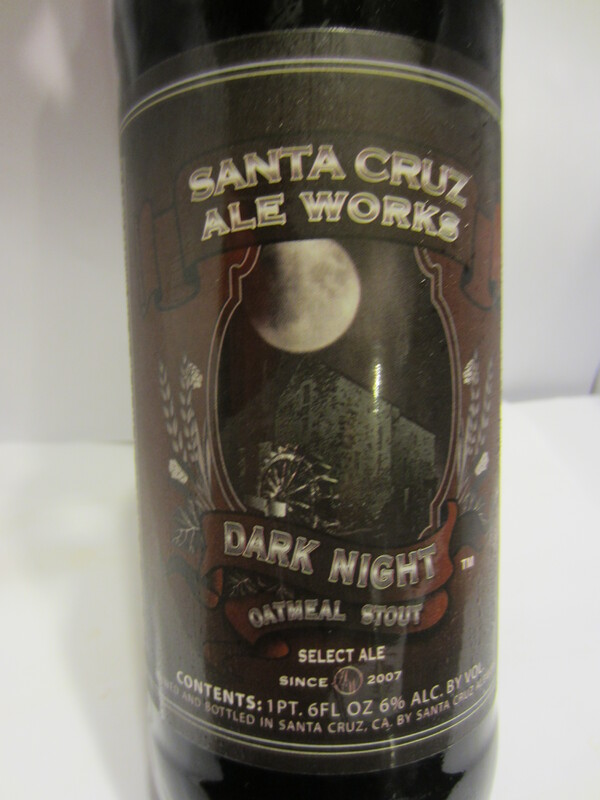 The initial flavor is a lightly smoked maltiness (similar to the initial smokiness in a Stone Smoked Porter), followed by rich dark chocolate notes. The aftertaste blends the two with a palate-coating roasty/lightly bitter mocha flavor that lingers lengthily in the mouth. 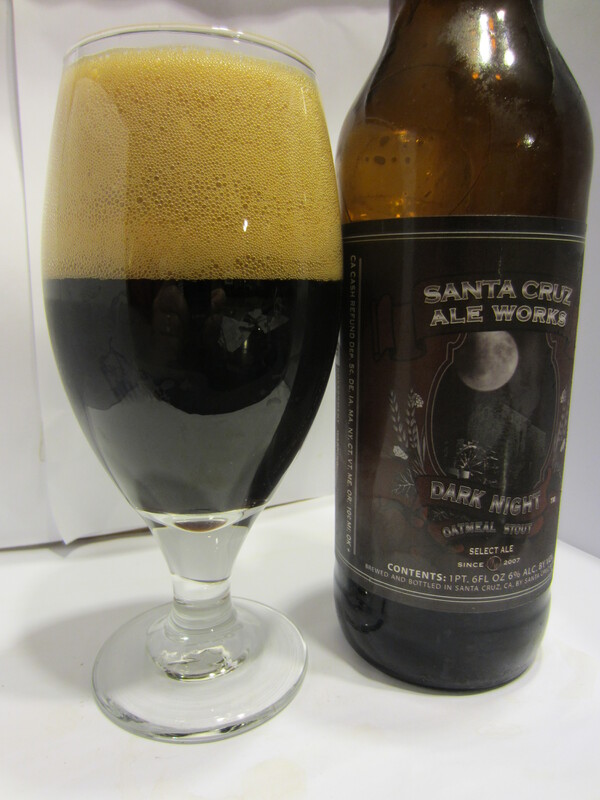 This is the first beer I’ve tried from Santa Cruz Ale Works, and I certainly wasn’t disappointed in any way. The smell of the beer was incredibly enticing from the moment I popped the cap, and the flavor was eager to follow suit. The bittersweet malted chocolate and coffee flavors are really done well, I only wish they were a little more prominent. That would put this beer immediately into the upper tier of craft stouts I’ve reviewed. As I’m typing up this review from my notes, the lingering flavor in my mouth reminds me of the aftertaste/mouthfeel left from drinking a mocha frappuccino, or a glass of chocolate milk. I’m pretty impressed, and look forward to trying other beers from this brewery. 8.5/10.